In the first tie of the 2019 Millennium Cup season, Grafton managed to reverse the score of last years’ crunch clash and gain revenge at home against eventual 2018 Champions, Norbury Park. The home team got off to a flyer in overcast chilly conditions, winning all four of the opening round rubbers. In the Men’s singles, the ever-athletic Will Ellison covered every inch of the court to tame Mark Lovejoy’s powerful game to win 6-1 6-2. Mark has graduated from the juniors and wasn’t helped by blistered fingers. Mark’s successor in the Boys Under 16 Singles, Josiah Davis, struggled against Grafton’s much-improved Michael Sotillo to go down 2-6 1-6, a broken string at the start of the second not helping his cause. The Girls match turned into a real nail-biter with Norbury’s Abigail Davis, giving away at least a foot in height to Amelia Cornish, quickly went 1-6 down but then dug in to level 6-4 as Amelia lost her way but the Grafton girl managed to refocus to edge the match tiebreak 10-7 in which Abigail pluckily recovered from 3-7 to 6-7 and included a 20 shot rally at 8-6. 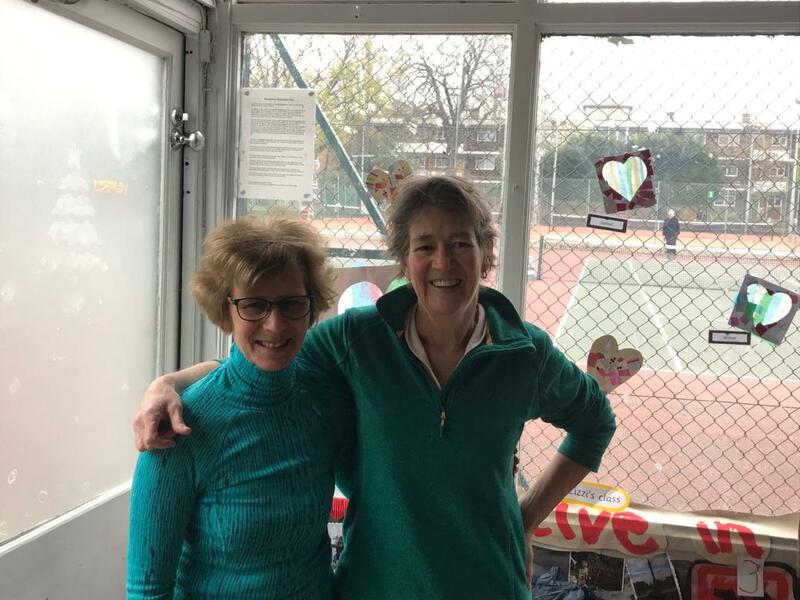 Maureen Kenny (G) and Carole Watson ( N) have epic Millennium Cup matches in their DNA so no surprise that their Women’s Over 40 Singles match lasted over two hours, with Maureen just edging it 7-6 5-7 [10-7]. 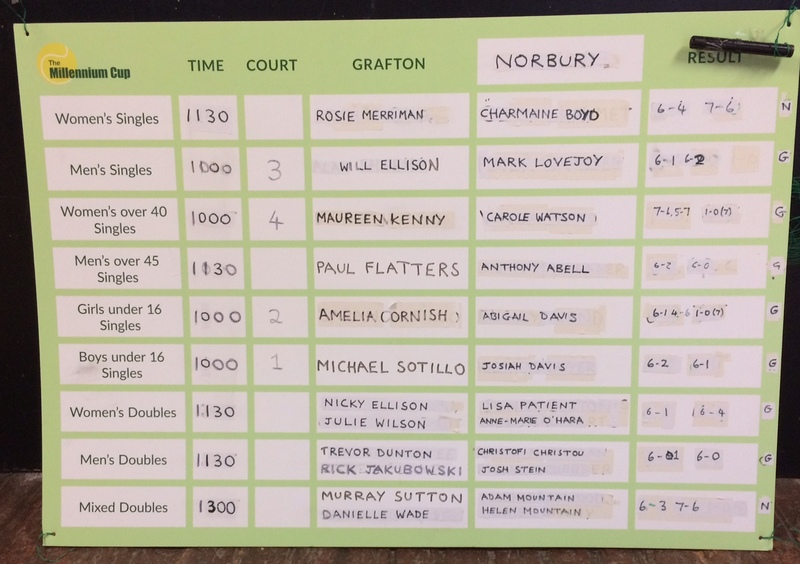 Grafton then racked up three more points in the next round, with the legend that is Marek sidelined, Tony Abell contested the Men’s 45s against Grafton stalwart Paul Flatters, but went down 2-6 0-6 to Paul’s steady aggressive game. 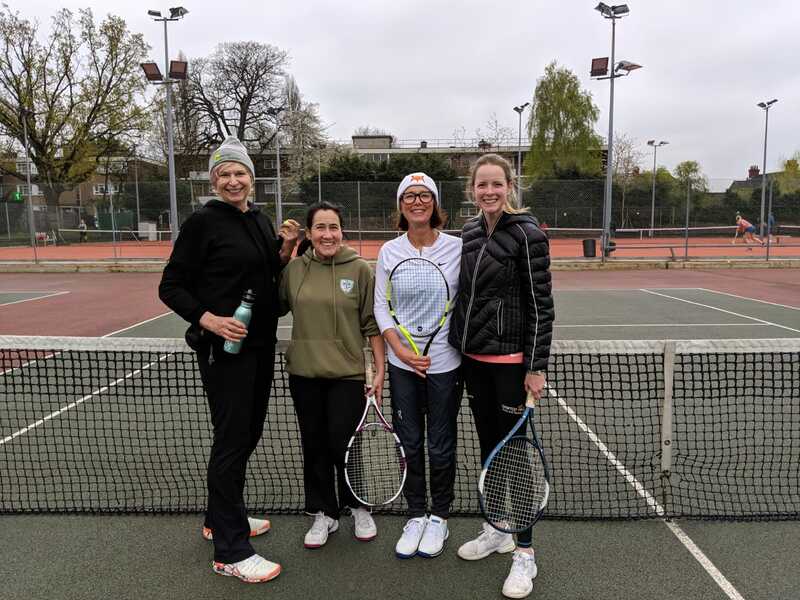 Nicky Ellison and Julie Wilson got the better of Lisa Patient and Anne-Marie O’Hara 6-1 6-4 in the usual good-natured Women’s Doubles rubber that you’d expect from these four. Christofi Christou and Josh Stein couldn’t match the power of Grafton regular pair Rick Jakubowski and Trevor Dunton, who ran out 6-1 6-0 winners. Norbury then salvaged two invaluable points. 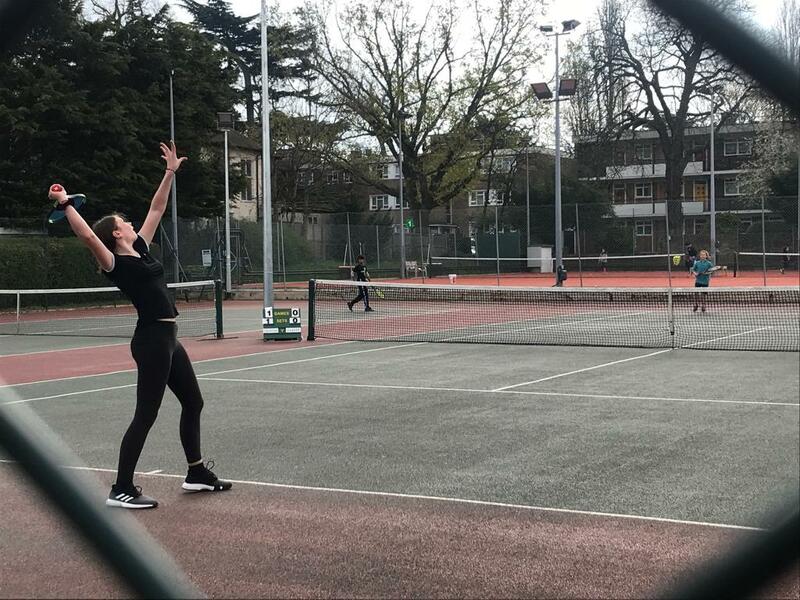 In what was match of the day Charmaine Boyd notched a memorable 6-4 7-5 victory over Rosie Merriman in over two hours, during which cries of anguish rang around the ground as the two played out the Women’s Singles. Rosie was on the comeback trail at 5/2 in the second when there was a huge game at 5-4 and Rosie had a set point at 6-5 but couldn’t quite nail it. A real thriller. Tiebreaks are an essential element of encounters between Murray Sutton & Danielle Wade and Helen & Adam Mountain, and this one was no exception, with 6-3 7-6 to the mother and son combo. 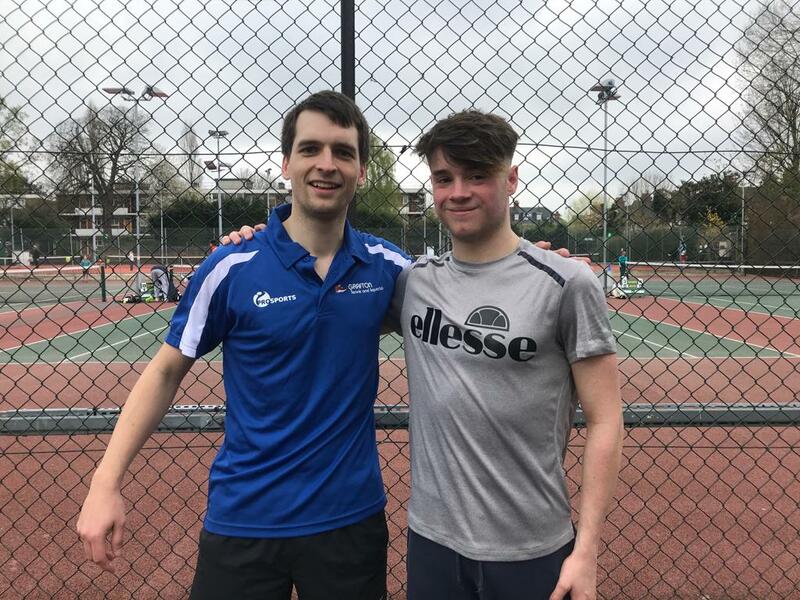 The Grafton pair were finding their form at 3-0 up in the second but then four games slipped away as Helen’s low forehands inflicted damage, and Adam is much-improved this year. Plaudits to all, not least to Barbara for the fab Millennium Cup banners! 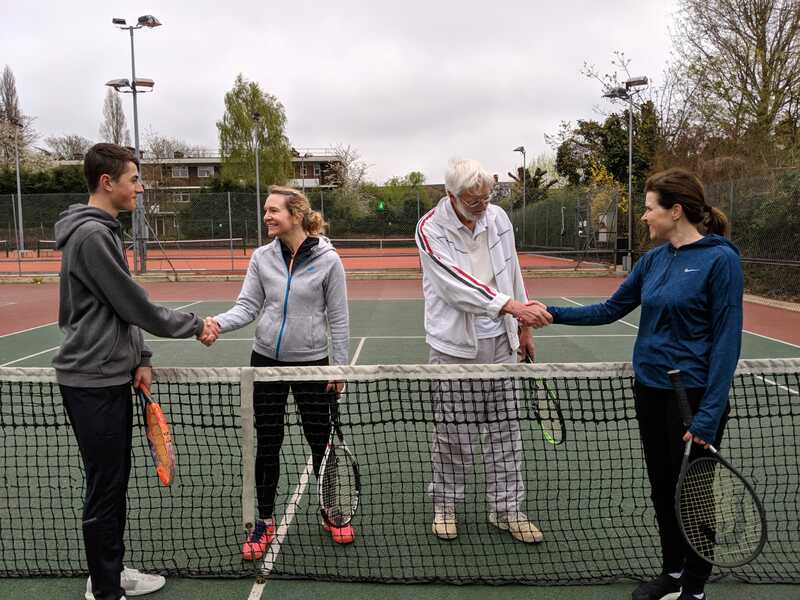 Women’s Singles: Rosie Merriman lost to Charmaine Boyd, 6-4 7-6; Men’s Singles: Will Ellison d Mark Lovejoy, 6-1 6-2; Women’s Over 40 Singles: Maureen Kenny d Carole Watson, 7-6 5-7 [10-7]; Men’s Over 45 Singles: Paul Flatters d Anthony Abell, 6-2 6-0; Girls Under 16 Singles: Amelie Cornish d Abigail Davis, 6-1 4-6 [10-7]; Boys Under 16 Singles: Michael Sotillo d Josiah Davis, 6-2 6-1; Women’s Doubles: Nicky Ellison & June Ellison d Lisa Patient & Anne-Marie O’Hara, 6-1 6-4; Men’s Doubles: Trevor Dunton & Rick Jakubowski d Christofi Christou & Josh Stein, 6-1 6-0; Mixed Doubles: Murray Sutton & Danielle Wade lost to Adam Mountain & Helen Mountain, 6-3 7-6.